Human Rights in China (HRIC) is a Chinese non-governmental organization (NGO) founded in March 1989 by overseas Chinese students and scientists. We actively engage in case and policy advocacy, media and press work, and capacity building. Through our original publications and extensive translation work, HRIC provides bridges and uncensored platforms for diverse Chinese voices. Our activities promote fundamental rights and freedoms and provide solidarity for rights defenders and their families by supporting citizens’ efforts to effectively communicate, as well as organize and participate in rights defense activities. With an international office in New York and a China office in Hong Kong, HRIC actively works on local, regional, and global platforms. Our small and committed staff brings diverse expertise in Chinese and international human rights law, Chinese politics, language, and culture, as well as policy experience in the information and communications technologies (ICT) sector. Read about our senior staff below. 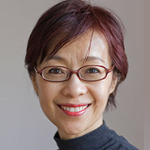 Sharon Hom, Executive Director and Professor of Law Emerita (CUNY School of Law), leads HRIC’s human rights and media advocacy, as well as strategic policy engagement with NGOs, governments, and multi-stakeholder initiatives. 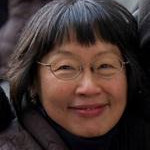 Sharon Hom taught law for 18 years, including training judges, lawyers, and law teachers at eight law schools in China over a 14-year period in the 1980s and 1990s. She was named one of the “50 Women to Watch” by the Wall Street Journal in 2007. 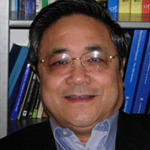 Gao Wenqian, Senior Policy Advisor and Editor-in-Chief of Chinese publications, was a senior researcher at the Research Center on Party Literature of the Communist Party of China, and a member of its Executive Committee. He has been a visiting scholar at Columbia University, the Woodrow Wilson International Center for Scholars, and Harvard University. He is the author of Zhou Enlai: The Last Perfect Revolutionary. Mi Ling Tsui, Communications Director, was a documentary producer with 20 years of experience in U.S. network and public television. Many of her projects were China- and Asia-related, including Becoming American: The Chinese Experience, a three-part PBS Bill Moyers series on the history of Chinese in the U.S.
HRIC’s advocacy work utilizes a combination of research, policy engagement, outreach and collaboration, and casework to support domestic Chinese civil society and advance international awareness of key cases and current issues in China. Through press work, news aggregation, and social and multimedia, HRIC contributes to international understanding of the complex challenges facing rights defenders in China. And with English translations of key documents and essays, we provide important bridges for Chinese voices and resources on domestic legal and policy developments. Citizens’ Square is a virtual Democracy Wall for individuals from China to share their stories online in personal narratives, open letters, statements, and case descriptions, and through photos, court documents, and videos. HRIC’s publications include bilingual and Chinese-language journals and books and reports aimed at diverse readerships. HRIC's resources are continuously developing, and include bilingual tools to promote information sharing, digital security awareness and best practices, local activism, and research on human rights-related issues. Promote international human rights and advance the institutional protection of these rights in the People’s Republic of China. Applicants should be committed to HRIC's mission and interested in working in a friendly, high-energy, collaborative bilingual NGO that insists on the highest professional and public-interest standards. Currently available staff positions and information on internship opportunities can be found HERE.